Up to 60% of the US population with hypothyroidism doesn’t even know they have it. 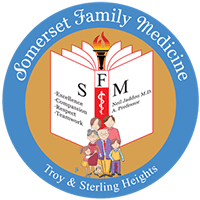 The diagnostic and treatment processes are pretty straightforward, and all you have to do is visit Somerset Family Medicine SFM for a simple blood test. Then, Dr. Neil Jaddou can help you manage the condition with medication. If you’re looking for a provider in Troy or Sterling Heights, Michigan, to help manage your hypothyroidism, contact Dr. Jaddou online or over the phone. Hypothyroidism is a medical condition characterized by inefficient hormone production by the thyroid gland. Thyroid hormones control many of your metabolic, digestive, and other bodily systems, so you may notice symptoms affecting those systems when the thyroid is underactive. Weight gain is often the first sign of hypothyroidism, but you don’t want to ignore any of these types of symptoms. If you notice these signs, you should make an appointment with Dr. Jaddou. Less common causes of hypothyroidism include a congenital thyroid defect, iodine deficiency, or a pituitary tumor. Any damage to the thyroid can cause it to produce too little hormones. Dr. Jaddou considers your medical history and symptoms at the beginning of the diagnostic process. Then, he performs a physical exam, including a manual examination of your neck to check for abnormalities. If Dr. Jaddou suspects hypothyroidism, he administers blood tests to measure your thyroid stimulating hormone (TSH) levels. Your symptoms and test results make it possible for Dr. Jaddou to diagnose hypothyroidism. How do I treat hypothyroidism? 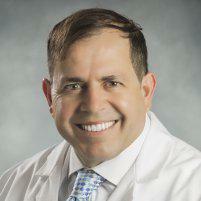 Dr. Jaddou typically prescribes synthetic thyroid hormones to regulate the condition. He may order follow-up TSH tests to make sure the medication is working. Your symptoms should lessen or disappear soon after treatment, but you may have to take the medication for the rest of your life. Dr. Jaddou checks in at least once yearly to ensure your hormones stay within a normal range. If you have symptoms of hypothyroidism, make an appointment with Dr. Jaddou by calling the office or using the online scheduler.